This past month and a half has been a whirlwind. While the times are crazy with jumping away from the 9-5 job to launching our own business, there are those days where we wonder “what do we need to be doing?” At times things seem to not be moving as fast as we’d like and I keep thinking of a comment a good friend said to me; “things happen at the speed they’re supposed to, to which you are ready for." At times we all feel that way, right? That the things we want aren’t coming as quickly as we’d like – but we forget to focus on the things that are happening, the seeds we’ve planted, and the momentum that is occurring. Just this past week we were asked by a realtor in Gig Harbor to be featured in her #bizinthegig blog. YASSS! Each week Paige Schulte of Windermere Professional Partners features local businesses on her blog and offers fun giveaways! We had so much fun sharing our story and passion for Confetë Party Box. What is the point in the rambling of our past week's success? Keep doing what you are doing, stay consistent, and have faith that what you want will come when you are ready for it and we will too! 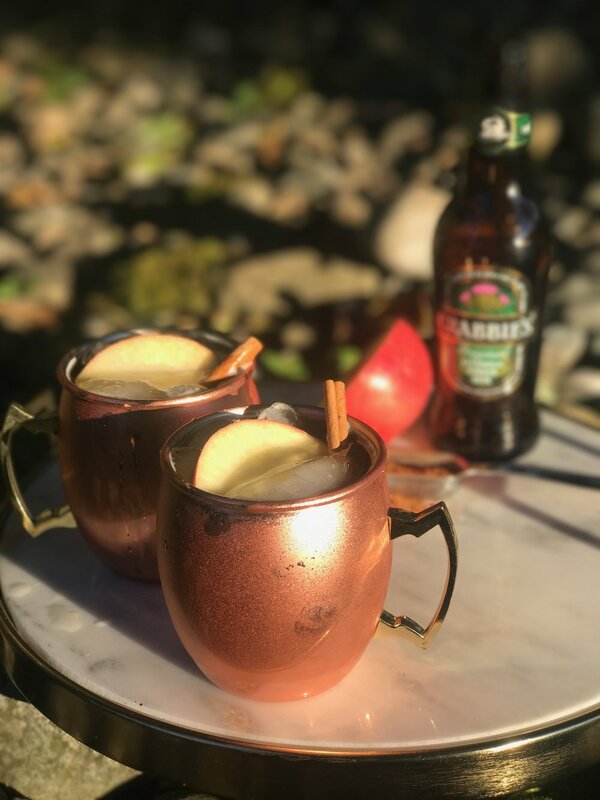 So today we’re toasting to our first interview with a delicious fall worthy Apple Cider Moscow Mule. I am not sure you will find an easier drink to make. Literally took us seconds to put this all together and probably the same amount of time to finish it off! cider, and ground cinnamon. Stir.